This aquarium simulates a riverbank in a small stream of the Nilwala basin at an elevation of around 200m above sea level. 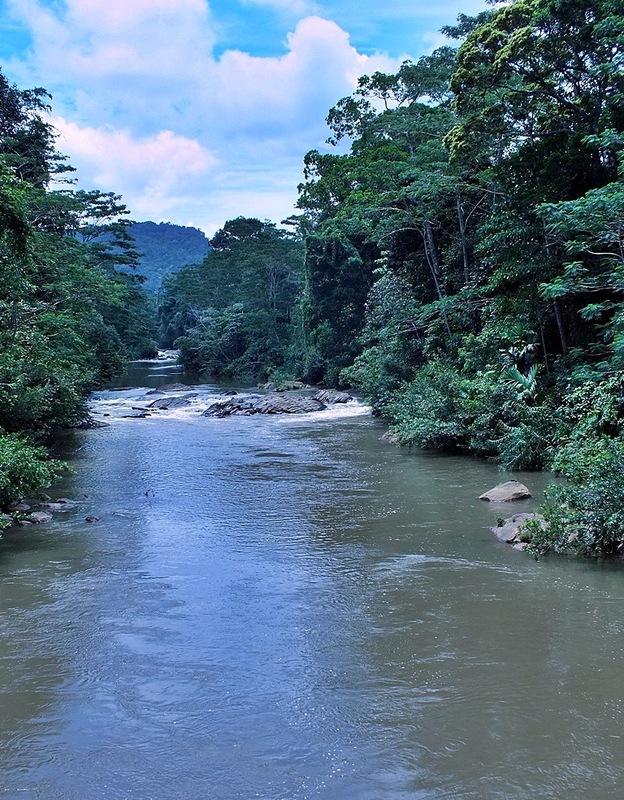 This photo shows the Nilwala River, a river system based in the extreme south of the island of Sri Lanka; it’s small rainforest tributaries are the subject of this article. At this elevation Pethia nigrofasciata and the Cherry Barb Puntius titteya can be found together, they are endemic to the wet zone in south western Sri Lanka and inhabit lowland tropical rainforest streams. Huge amounts of rainfall occur in the wet zone because of the monsoons between March and August. Due to the fact that the island has been isolated for a long while and due to the moist, warm climate, there is a very high rate of endemism, this makes this area of Sri Lanka a place of very special interest..
Cherry Barbs (Puntius titteya) are endemic to the Kelani and Nilwala river basins in the south / south western “wet zone” of Sri Lanka. The typical rainforest stream biotopes of Puntius titteya are shaded due to the overhanging forest canopy, but they are exposed to some degree of sunlight. Water parameters are reported to be slightly acidic, soft, and clear, although some streams are relatively tannin-stained. Macrophytes are uncommon in these areas but riparian vegetation can be dense. It is an ideal place for smaller fishes to hide from predators such as the Ceylon Snakehead Channa orientalis. The typical substrate of such places is sand with some small rocks, twigs, branches and leaf litter. 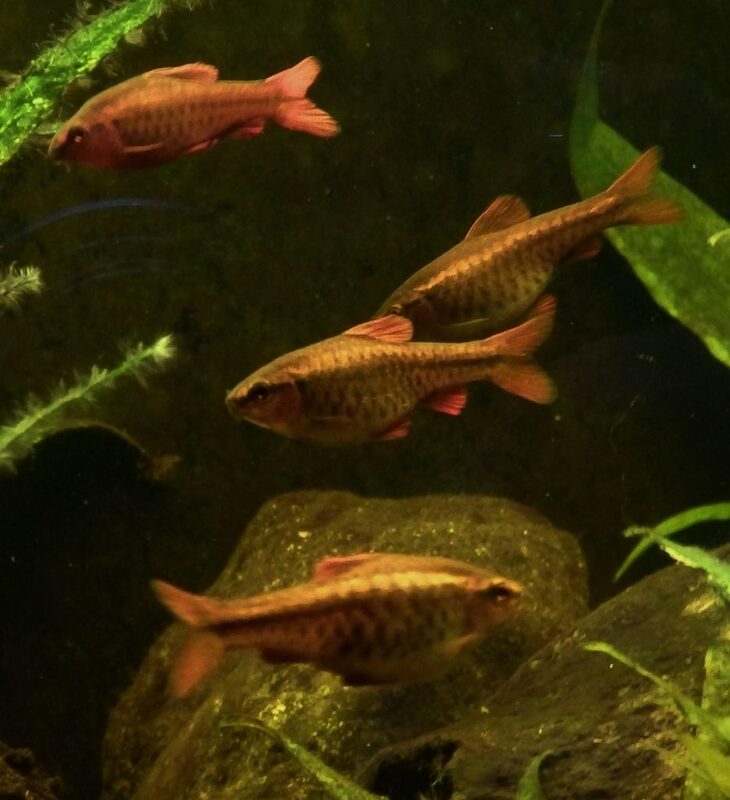 Other fishes found living in sympatry include the “Fire Rasbora” Rasboroides vaterifloris, the “Two-Spotted Barb” Puntius bimaculatus, P. kelumi, a relatively new species first scientifically described in 2008, the “Black Ruby Barb” Pethia nigrofasciata, Dawkinsia singhala, the “Spot-Back Loach” Schistura notostigma, the Striped Catfish Mystus vittatus, Werner’s Killifish Aplocheilus werneri, the “Ornate Paradise Fish” Malpulutta kretseri, and the well known “Tyre-Track Eel” Mastacembelus armatus. 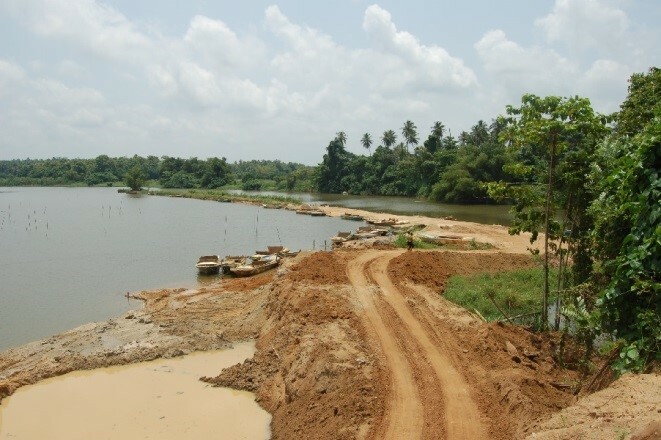 Sadly enough the Sri Lankan rainforest is under a terrible amount of threat, in 2006 only 4.6 % of the original rainforest was intact as a result of anthropogenic activities such as habitat loss for plantation establishment, river sand mining and oil extraction. A recent oil spill was also reported at the beginning of 2017 and a large-scale river diversion is also being planned, which will cause unmitigable destruction and could spell disaster for many endemic fishes. This type of highly damaging and often irreversible action inevitably has devastating and significant negative impact on these unique and vulnerable ecosystems. During the rainy season, there is less capacity of the ground to hold the water and soil, since the extensive root systems of established forests are responsible for this very job. This leads to formation of mud streams, erosion of the land leading to loss of fertile soil and siltation of the streams and rivers. In combination with disturbed self-purification processes of the rivers, this leads to lack of high quality freshwater to use as drinking water. Siltation itself leads to smothering of the riverbed and mass kill off of invertebrates and fish eggs, resulting in reduced spawning success or abandonment by fish; secondary effects are unpredictable and numerous. As if these pressures were not enough, invasive species, untreated household water, gold mining and a certain pressure from the unregulated ornamental fish industry contribute to this sad story. Thank you for writing this article! 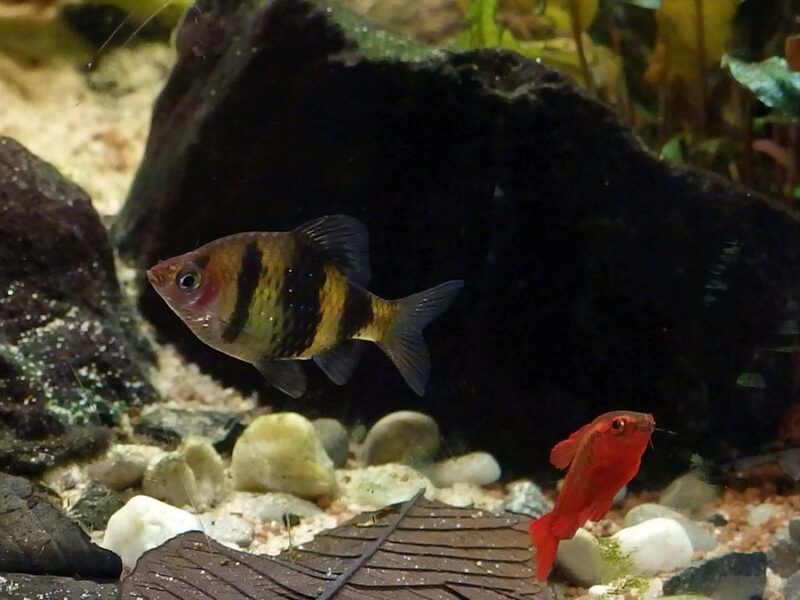 I have kept both the cherry and black ruby barbs succesfully for over two years now, and they are lovely specimens.